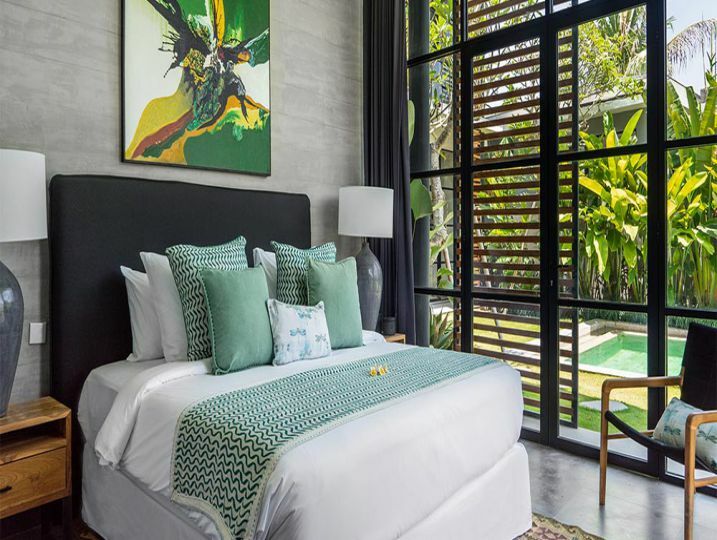 Ideally situated between Berawa Beach with its laid-back surfer vibe and Batu Belig with its host of glamorous beach clubs, Canggu Beachside Villas boast one of Bali’s most sought-after locations. 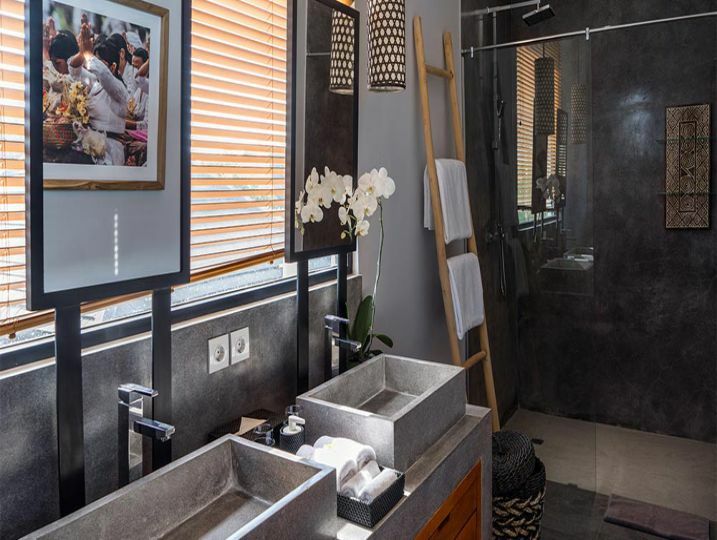 A mere one-minute walk from the beach and a gorgeous natural lagoon, the villas are a great choice for families or groups wanting to experience this beautiful part of Bali in luxury and style. 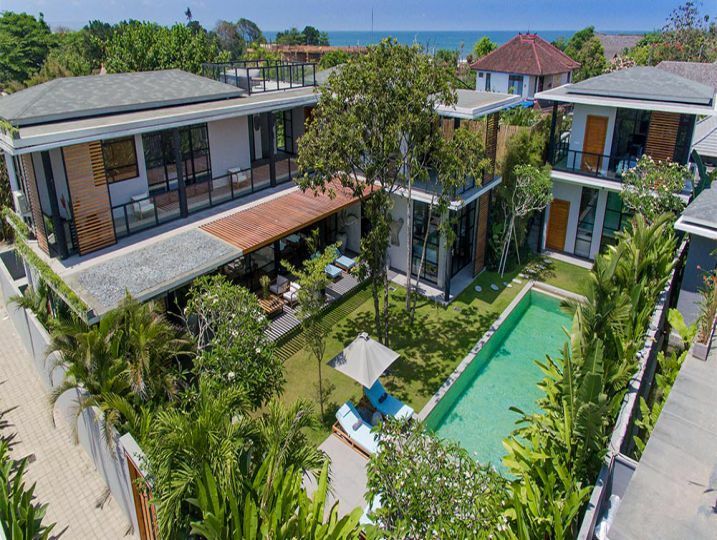 When all three of these exceptional private villas are booked together they can sleep up to 24 guests. 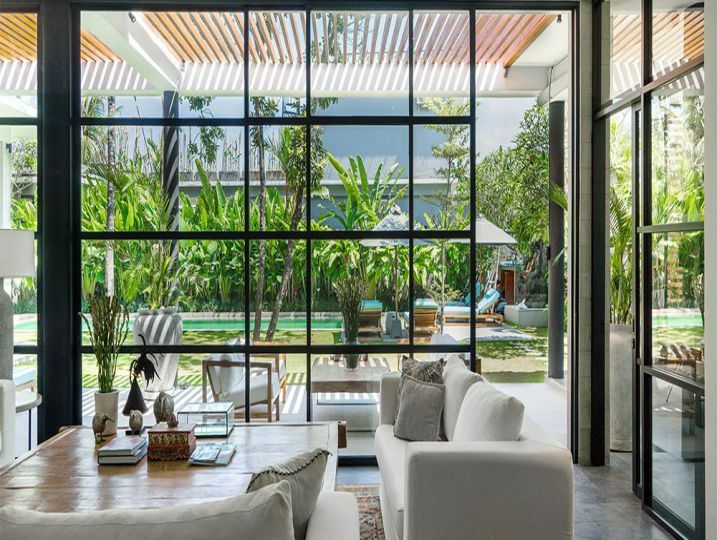 Connected via a private walkway, each Canggu Beachside Villa has a separate entrance, private garden and a swimming pool. 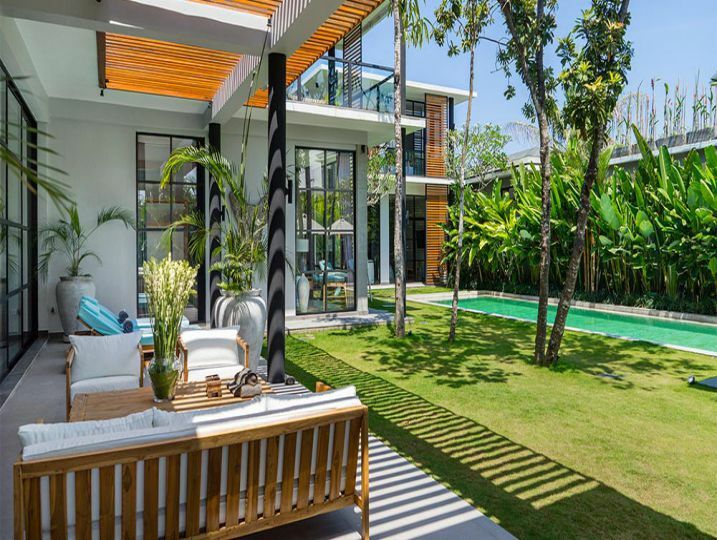 These villas have been designed to dazzle their guests with a wonderful combination of minimalist simplicity and open, light-filled spaces. 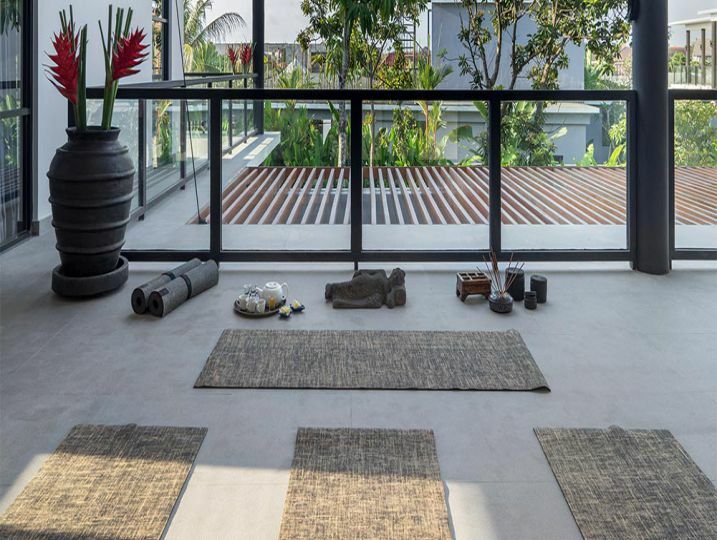 Following the principles of ‘organic architecture’, the villas’ indoor spaces are in perfect harmony with their natural surroundings. 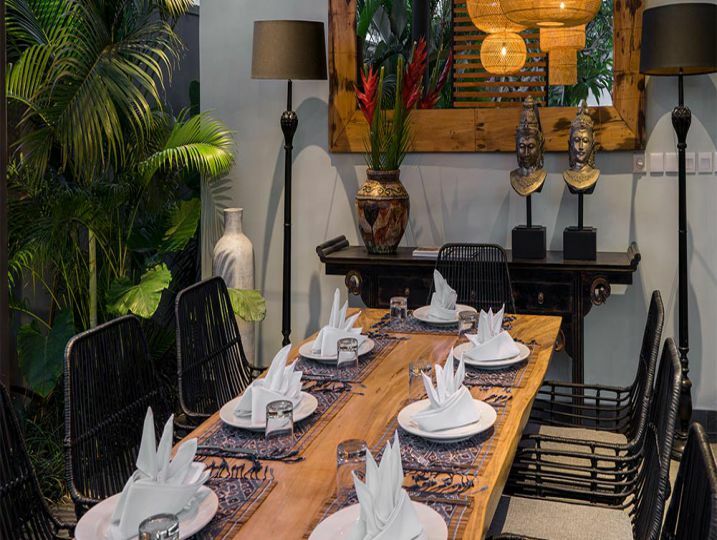 Their lush tropical gardens and ‘Zen’ water features, along with elegant furnishings and authentic Indonesian art create a very special atmosphere both indoors and out. 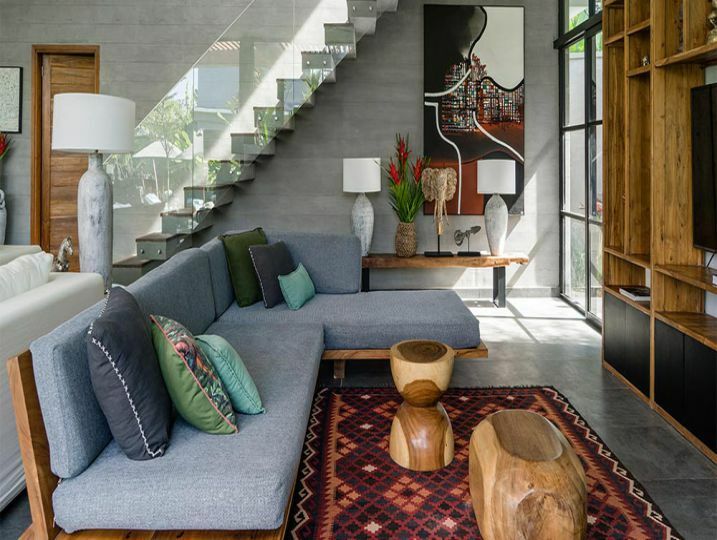 This really is exotic chic at its very best. There’s a small army of staff on hand, including a villa manager, butlers and a housekeeper who will happily tend to your every need, as well as a team of diligent security staff. 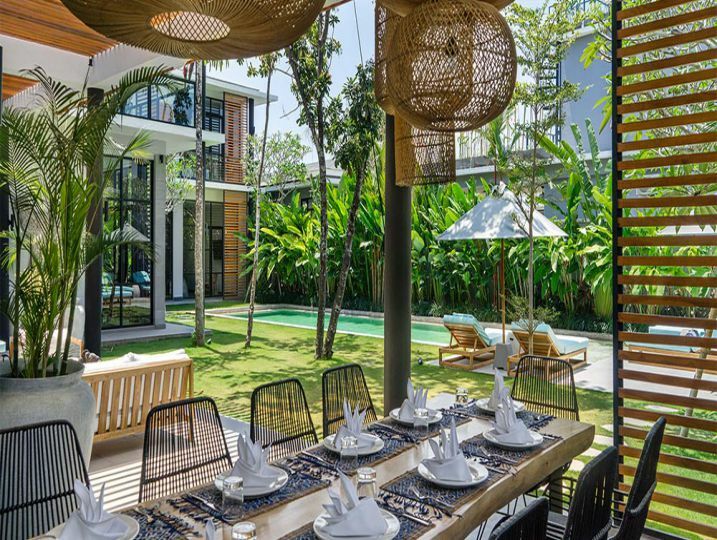 Being so close to many of Canggu and Seminyak’s best eateries means most of our guests prefer to dine out, which is why the Canggu Beachside Villas do not employ a private chef. Should you prefer to have a chef on-site, we would be happy to arrange this for an additional charge. 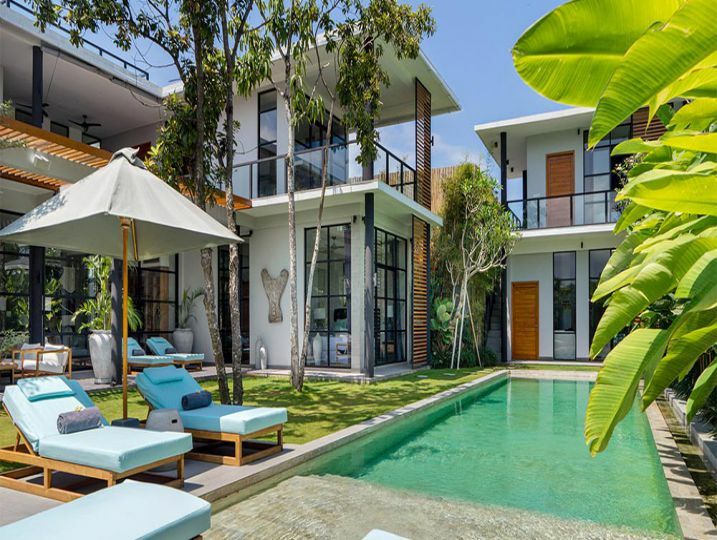 Just click on these links to find out more about the five-bedroom Villa Gu, the four-bedroom Villa Vida and the three-bedroom Villa Boa. 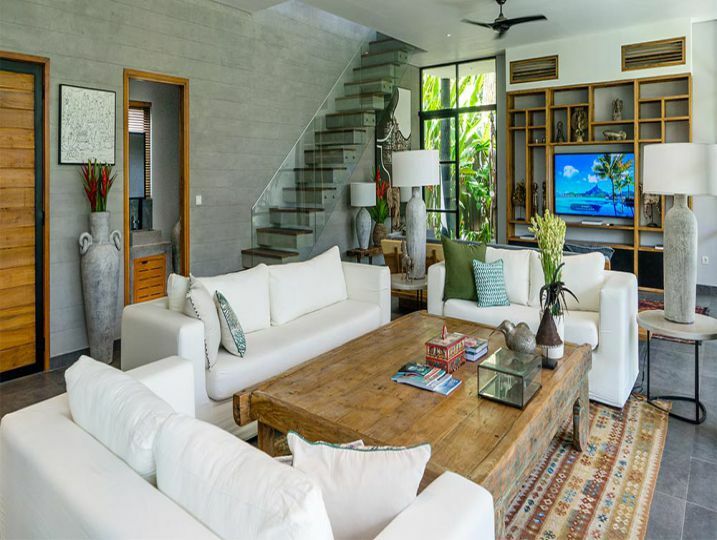 Or visit the Canggu Beachside Villas website to see how they can be combined to meet your specific holiday requirements. breakfast only, Free Wi-Fi, Drinking water, Coffee & tea, Housekeeping service. 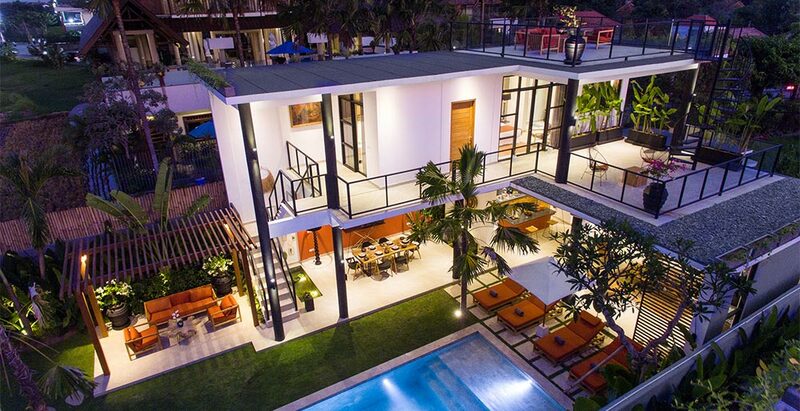 Canggu Beachside Villas – (Boa 3BR + Vida 4BR) is available for selected dates.